Nakul Bhatia, an ardent travel industry expert is credited to have co-founded Forkmycity.com. This is the rare marketplace online, which connects outbound travelers with restaurants, spas, clubs & other places. Nakul has a proactive approach towards business. He believes in snubbing all hesitations that stop an entrepreneur from doing his best and achieving his goals. Being from industrial background, it was obvious for him to follow in the footsteps of his family elders. Before Forkmycity.com he has owned two more travel companies and already had good business network. But, what makes his startup story special is the hard work & patience that he values most. 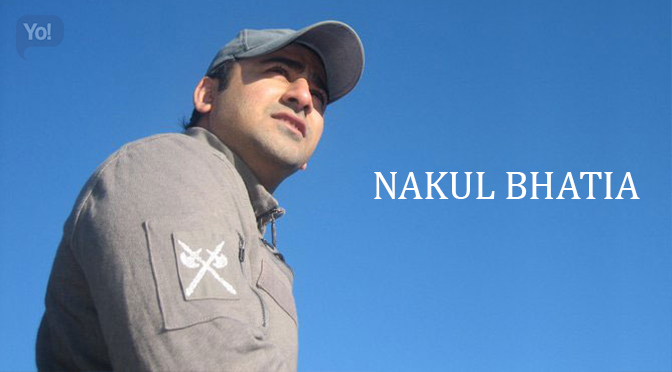 Nakul Bhatia is credited for taking this venture on expanding mode and inspiring budding startups. Yo! Success interviewed this innovative business leader and pored over the specialties that set him apart in the crowd. I am a 1st generation entrepreneur working since the past decade now, having started and managed 2 companies in the travel space in both B2C and B2B segments under both offline and online modes. The wish to give benefits to the society in my domain through my skills has driven me and drives me to start up again and again. My Life mantra is to attain the pinnacle of success through apt recognition running parallel to my contribution to the travel industry. Idea formation is easy, starting up is easy, however the 2nd stage of execution which is the proof of concept where in you have to get the product market fit is what is challenging and is what I am going through right now. Keeping myself on my toes and believing that every work that is defined must have a solution is helping me just going ahead with it and gradually overcoming the current set of challenges. Patience, hard work and integrity. Luck also plays an important factor after these 3. It’s a rough road ahead of you with a blooming garden in the end. Take in the factors such as enough capital to bootstrap your start up at least till you have a proof of concept and some rosy traction, enough capital to take care of your and family’s personal expenses till the time you can take out founder’s salary, co founders who are more hard working than you, mentor who can withstand your mental break downs and bring you back to the track. I’ll read, network, start up, repeat. Not leaving the work in mind for tomorrow. I am building up my patience level which needs to be better. Forkmycity.com – which is coming soon. Just don’t give up and the universe will come together to make it happen for you. A start up or business can rarely be successful alone. If you are starting alone, keep your options wide open for co founders and mentors and always have enough capital to keep you afloat till you start generating profits. There are lots of opportunities available and emerging in the e commerce sector in India. Therefore going through the statistics pertaining to the ideas it has to be an e commerce venture for me. Giving Forkmycity.com a valuation of 10 million USD within the next 3 years. A valuation based on profits.